Indeterminate. Regular leaf. 90 days. 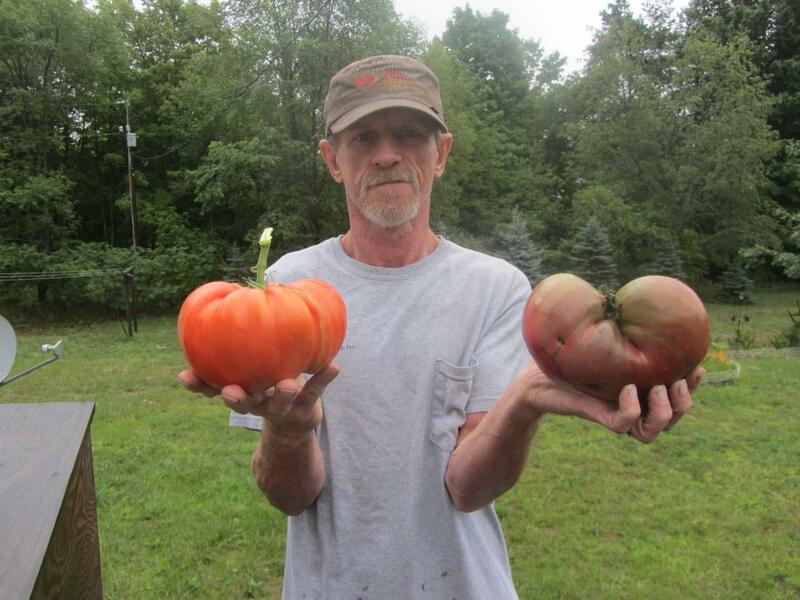 The largest black tomato we have ever seen! You will get seeds taken from a fruit that weighed in at five and one half pounds. Brad's was bred by our good friend, Brad Gates of Wild Boar Farm. Delicious, sweet dense flesh and a beauty to behold, and you might need to hands to hold one! Indeterminate. Regular leaf. 90 days. The largest black tomato we have ever seen! You will get seeds taken from a fruit that weighed in at five and one half pounds. Brad's was bred by our good friend, Brad Gates of Wild Boar Farm. Delicious, sweet dense flesh and a beauty to behold, and you might need to hands to hold one! * Competition seed packets contain six seeds .